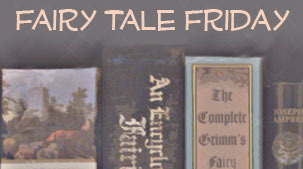 It is Fairy Tale Friday! As much as I love fairy tales, I have been so busy that I have had little time to read them lately. I am revisiting a tale I have read for years. It was actually introduced to me in my first children’s literature course. As I reread it, I was struck by the gorgeous illustrations and pleased with the beautiful storytelling. Mufaro lives in a small village with his two beautiful daughters: Manyara and Nyasha. Manyara is bad tempered and proud. She treats her sister cruelly, but carefully, for her father is oblivious to it. Nyasha always responds with kindness and humbleness. She spends her time working a small plot of land that grows food abundantly. A snake, she calls him Nyoka, is her companion as she works. One day, the king calls for all the worthy single women to come to the city, so he can choose a wife. Manyara leaves for the journey in the middle of the night, in hopes of beating her sister and the others. She comes across a hungry boy who requests a bite to eat. Of course, Manyara yells at him and leaves him with nothing. Then, she is warned by an old woman of some situations ahead, but in her pride Manyara ignores her. When she finally goes before the king, she finds a hideous monster who reveals her faults to her. Nyasha travels with her village the next morning. Seeing the young boy, she immediately offers him her lunch. For the old woman, she gives her a pouch of sunflower seeds. The pure-hearted daughter passes the tests that lie ahead. When she goes in to see the king, there is something entirely different in the chamber. 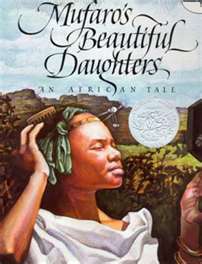 Mufaro’s Beautiful Daughters won the Caldecott Honor award for its illustrations. For inspiration, Steptoe effectively used the ruins of an ancient city in Zimbabwe as well as the flora and fauna of the region. The true nature’s and personalities’ of the girls comes through his realistic and powerful depictions. The storytelling is tight, not a wasted word or scene. Everything comes full-circle, producing a satisfying ending both emotionally and structurally. Even though the plot elements are very different than the Western Cinderella stories, Mufaro’s Beautiful Daughters is categorized as one. It challenged me to consider: What makes a fairy tale a “Cinderella” story? I’d like to hear what you think. I will share my thoughts next week. 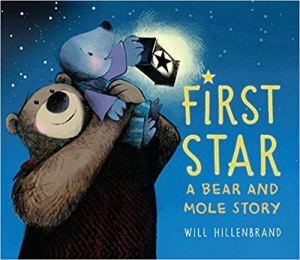 I have read this one and really enjoyed it. I guess for a book to be considered a Cinderella tale the main character has to have some sort of magical item and a transformation that takes place. Usually there is a guy/prince who notices her for her beauty or wisdom. I look forward to reading your post! Mufaro's Beautiful Daughters sounds like a good story! I'm rather fond of African tales myself, and may have to give this book a read-through.